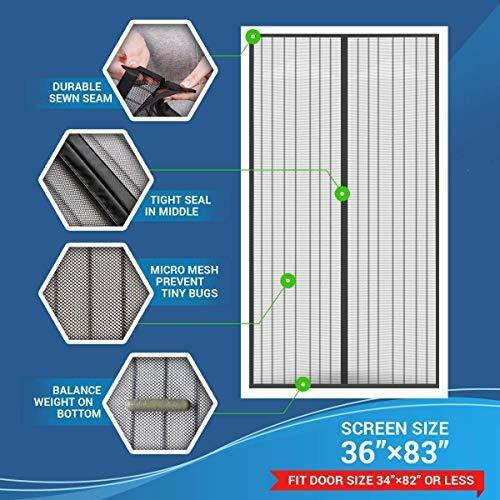 Grab your Discounted Portable Magnetic Screen Door Curtain while the store LAUNCH DISCOUNT is on. Once we reach 300-unit sales, we will be increasing the price back up to $32.95. This is absolutely a great gift! 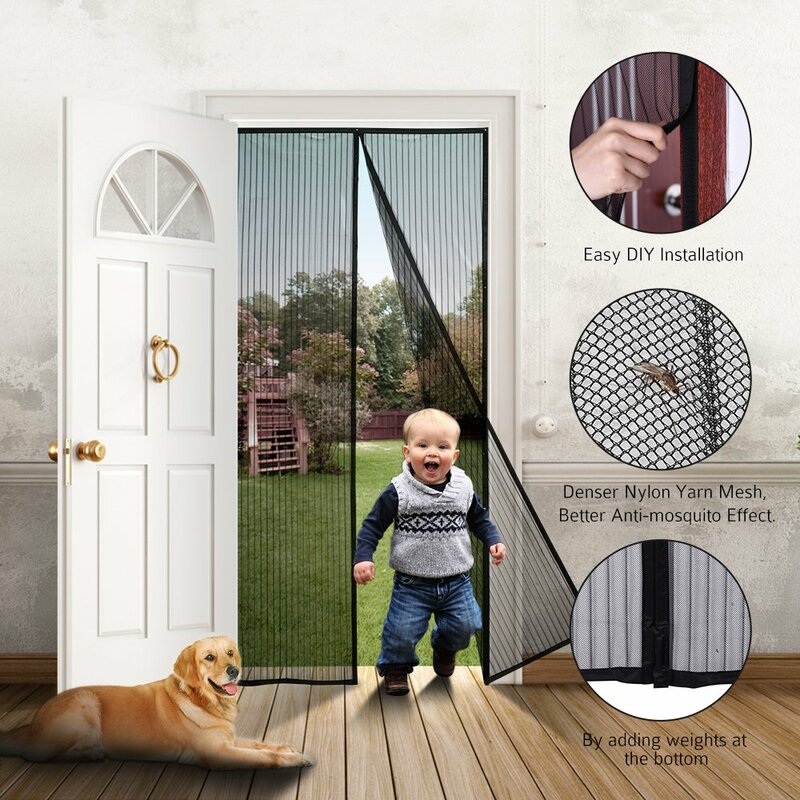 Keeps Bugs Out - Fits All Door Frames! 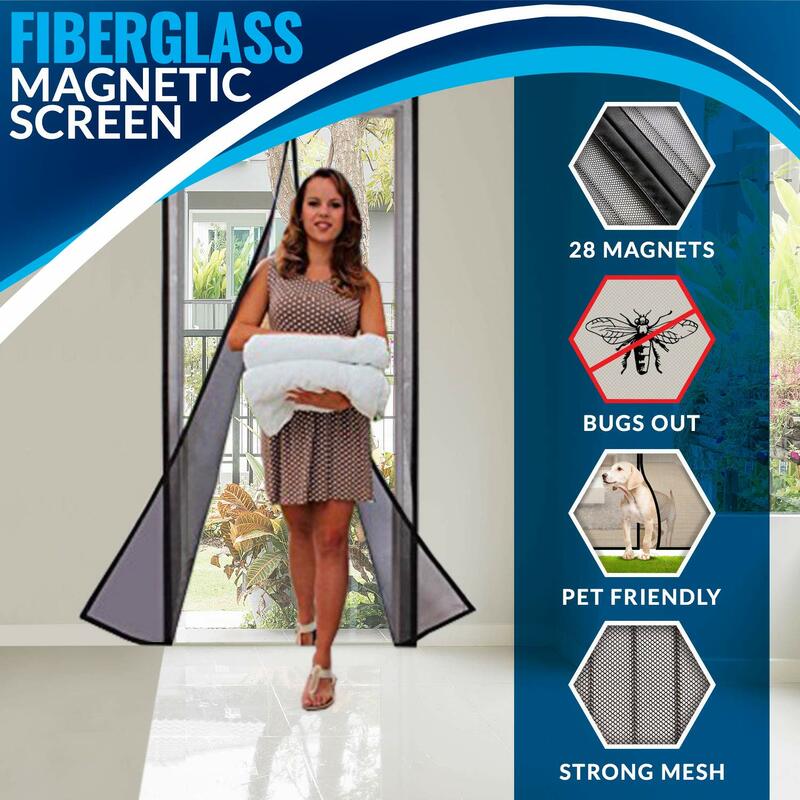 Portable Magnetic Screen Door Curtain creates a hands-free screen doorthat allows fresh air in and annoying bugs out. Instantly opens and magically snaps closed behind you using 18 strategically placed magnets. The size is perfect, it works very well, it's a good material. It's just an excellent purchase. THE product is good, need to learn to install. The goods are received, exactly corresponds to the description, outwardly like everything. Thanks to the seller for the quality of service!